Most diet books spend chapters selling you on a diet which generally only takes about a page or so (three pages if it's particularly complicated) to actually describe. 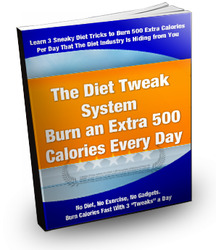 That's followed with food lists and meal plans and it's not unfair to say that your average 300 page diet book will consist of 8 chapters selling you on it, a few pages describing the diet, and 150 pages of food lists and recipes. I prefer to take a different approach, I spend chapters boring you to death with underlying physiology before actually describing the diet which often takes about a page or so. That's what I've done in this book anyhow although please realize how much wasted verbiage I've spared you by avoiding unnecessary details. While I don't do meal plans, I will provide some food lists although, frankly, this is a damn simple diet. My friend Allie came up with some recipes for the folks on my forum and those are included at the end of the booklet. In any case, in the last chapter I gave you a very simplified overview of human metabolism, which led into a discussion about what happens during starvation. This lets me bore you a little bit longer with a brief history lesson, which will act as a bridge to the diet itself.